The screen will look slightly different depending on whether you’re already signed into Amazon or not. If you’re already signed in, you’ll see a screen like the one below. 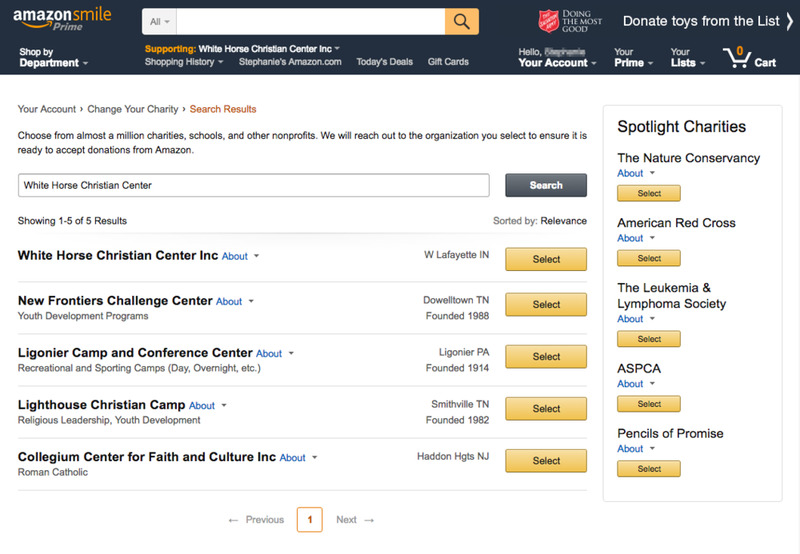 Simply search for “White Horse Christian Center” or the charity of your choice and proceed to step 3. After signing in, search for “White Horse Christian Center” or the charity of your choice. When you search for a charity, such as “White Horse Christian Center,” you will be given a list of possible matches. Select the charity of your choice to continue. Once you’ve selected your charity everything else functions the same. Shop for your favorite products or the perfect gift. 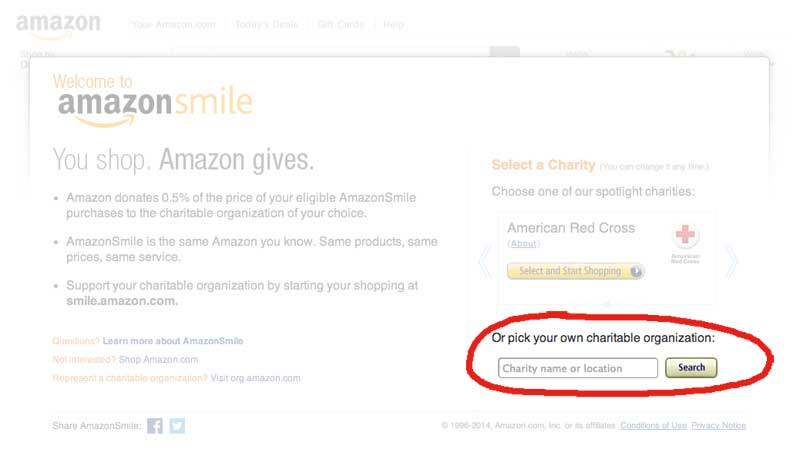 Most products are eligible on Amazon Smile – if not, you’ll be notified. You can checkout normally as well. No extra cost is passed onto you – Amazon will donate 0.5% of your purchase to White Horse Christian Center!